When we think of Valentine’s Day we automatically think of romantic love. 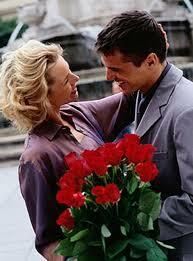 We hope to receive a bunch of red roses, a box of chocolates or a card filled with loving words. This is a beautiful gesture of love in action that is fulfilling for the giver and receiver alike. What happens when you don’t receive such gifts? Do you feel disappointed and unloved? Or, do you have enough Self love that you give freely through your words and actions without expectations from others? Most people think that to love oneself is selfish. This could be nothing furthest from the truth. It is more selfish not to love oneself and rely on the feedback from others to feel good. When we rely on feedback from others theyhave the power to stop the positive feedback that gives us the experience of feeling good and worthwhile about ourself. This in turn triggers our dependency and powerless and next time we try harder to please others to get the positive feedback to feel good. Our worth is based on the opinion and action of others. When we learn to love ourself we move from a position of disempowerment to one of empowerment. We become less dependent on others to feel good about ourself. When others love us and care for us we see it as a blessing not a need for our self worth. When we make this shift of consciousness we are step into mature love that comes from within. To love yourself means to treat yourself with respect, to accept yourself as you are, to care for yourself and to have a kind inner voice. Loving yourself means taking care of every aspect of your life–your physical, emotional, mental and spiritual needs. It means developing an attitude of kindness and acceptance in everything you do, say and think. You are more likely to get what you want when you activate the love that already exists in your heart. When you activate your love in your heart you are filled with love and every thought, feeling and action is a reflection of your intent to love Self in a conscious way. Everyone that comes in contact with you will be affected by your energy of love and in turn they will feel more love in their hearts. The more you nurture Self love the more connected you feel to yourself and to others and release the illusion of separation and loneliness. When you practice loving your Self you can expect to experience more love, joy, compassion and peace within. These virtues have an automatic flow on effect onto to others as well. Your perception of yourself and the world around changes and you can expect an improvement in all areas of your life. This will be the most empowering and liberating thing you can do for yourself. Your outer world becomes a reflection of your inner world and you attract more of what you want. The more you love your Self the more attractive you are to others. Your desires, wishes and dreams are fulfilled because you create your life from a place of love. When you have the understanding and skills in cultivating Self love on a daily basis you activate the essence of your True Nature. Learning and practicing this powerful tool is the key to your inner freedom and peace. Here are 10 ways to practice love for Self to cultivate more love into your daily life. Accept your Self as you are Right Now! Each night before you sleep and each morning as soon as you wake up choose a mantra that aligns you to your intent for Self love. Eg. I love and accept myself deeply and completely, I am love, My heart is open to love right now. Practice these 10 ways for one month with curiosity and openness and begin to experience yourself in a new way.